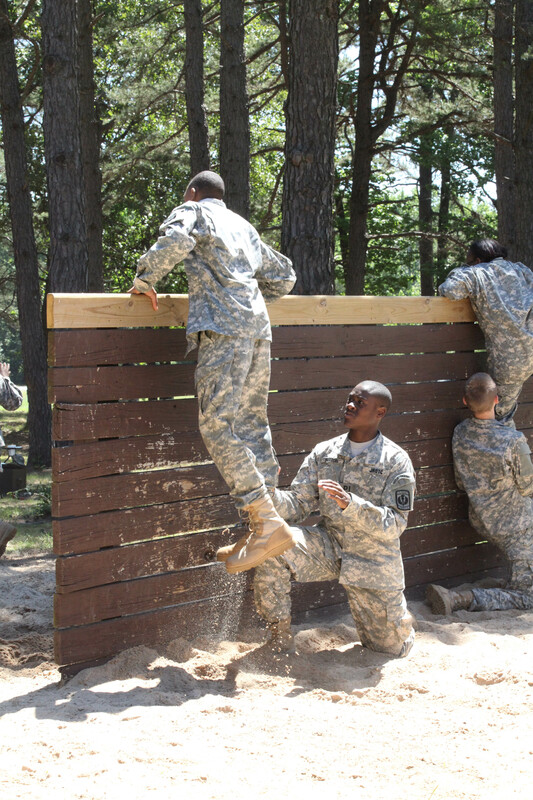 Four Arkadelphia High School Junior ROTC students participated in the JROTC Cadet Leadership Challenge on June 5-10 at Camp Robinson in North Little Rock. Camdon Narlesky, Parker Davis, DeMarco Britton and Carlos Cervantes were among 411 cadets from 23 Arkansas schools and 20 Shelby County schools participating in the events. Upon the day of arrival, all Junior ROTC cadets went through in-processing and barracks training. During the week, the cadets participated in various activities including the cadet challenge, survival, land navigation, the obstacle course, obstactle crossing, rappelling and fishing. The mission of the JROTC Cadet Leadership Challenge is to "provide a summer educational opportunity for all cadets allowing for a practical application of citizenship and leadership skills while introducing them to life in a military environment." You may access photos of the Leadership Challenge HERE. Visit Arkadelphia's Junior ROTC Facebook, "Arkadelphia Junior ROTC", for additional photos and news. For any questions or information regarding Arkadelphia High School’s Junior ROTC program, please contact Lieutenant Colonel Michael Shepherd at Michael.shepherd@arkadelphiaschools.org, or Sergeant First Class William Pettigrew at William.pettigrew@arkadelphiaschools.org.